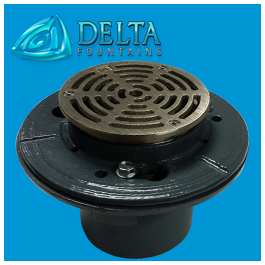 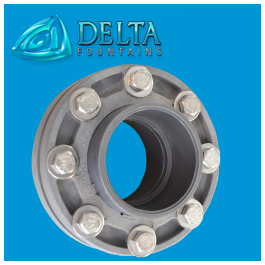 Delta Fountains’ 8 inch Main Drain Fitting with Anti-Vortex Plate is used as a suction point for the filtration system. 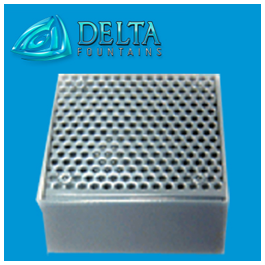 It is available in black or white. 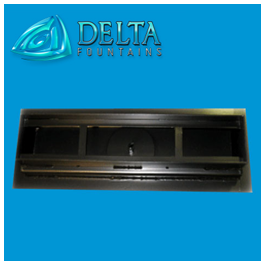 The Anti-Vortex Plate forces the water flowing into the sump to come in evenly through the plate slits. 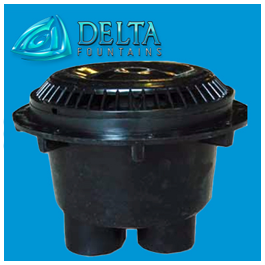 This forced flow effect prevents water vortexing at the suction point and creating an unwanted effect in your water feature.